Summer 2013 we made our first really long mountain trek in Europe, starting from early June until early September 2013. 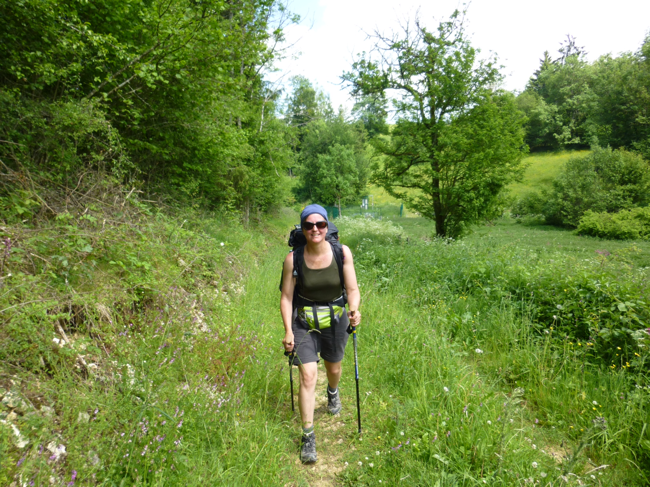 We started the hike in Alsace and follow GR5 through the Jura mountains and the french Alps. At the Mediterranean Sea we had a small break for all most a week before continue our walk in the Italian alps follwing GTA (Grande Traversata delle Alpi). Note this is a very rough sketch of our route! Today we started our long hike through the mountains in Europe. 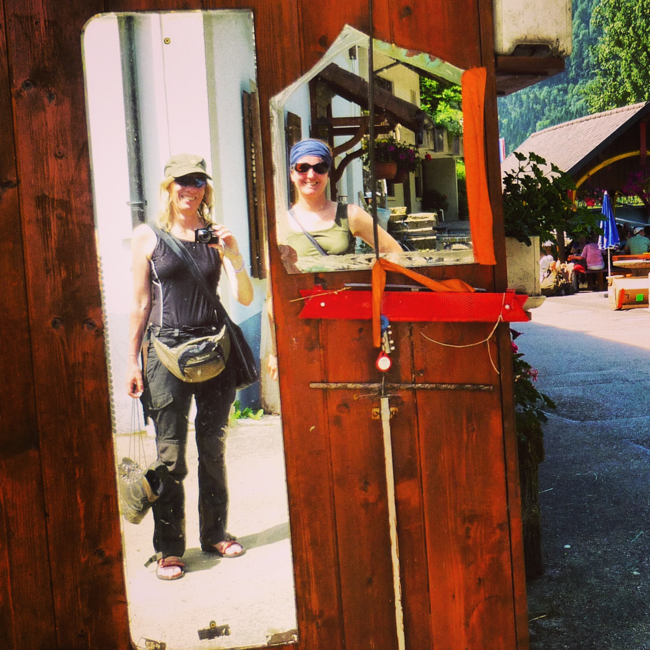 We started out in Chatenois, a little village in Alsace, and walked to Ribbaeauville. About 20 km. The sun was shining. We walked along vineyards up the hill into the forest. We past the castle, Haut-Koeningsbourg, which was taken by Swedes in 1633, who also partly destroyed it. 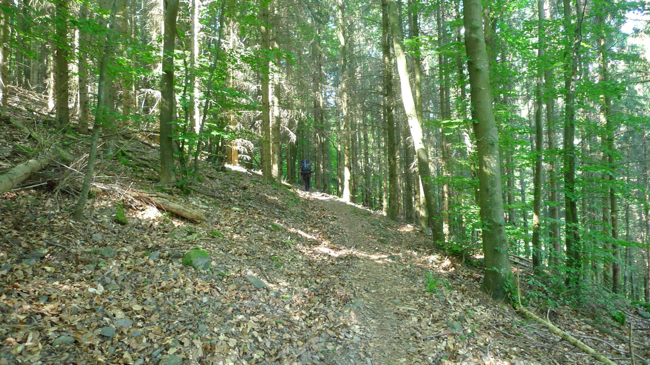 We continue downhill through some forest and the village Thannenkirch. In the afternoon we reached Ribbaeauville happened to be a very charming small town, touristic but still very nice. 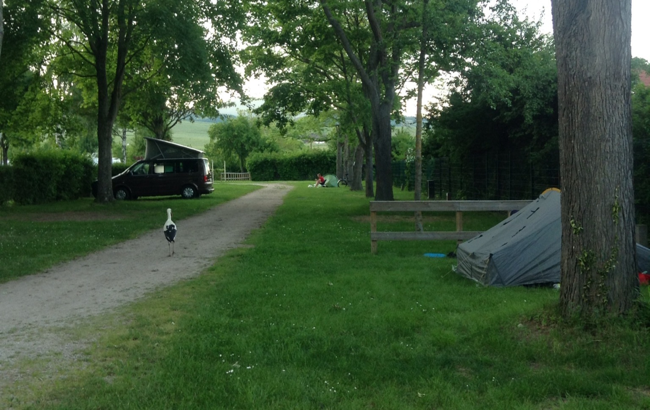 We stayed at the campsite with fearless Storks walking around our tent. The whole days walk was through forest. At first walking upwards about 940 meter. On the top we found the Konige sthul. It was a nice stone block with a nicely made stone chair from early 1900. We sat there for a while, once when there was no threes it must have been an amazing view. But it was still a nice place with pine and blueberries around. 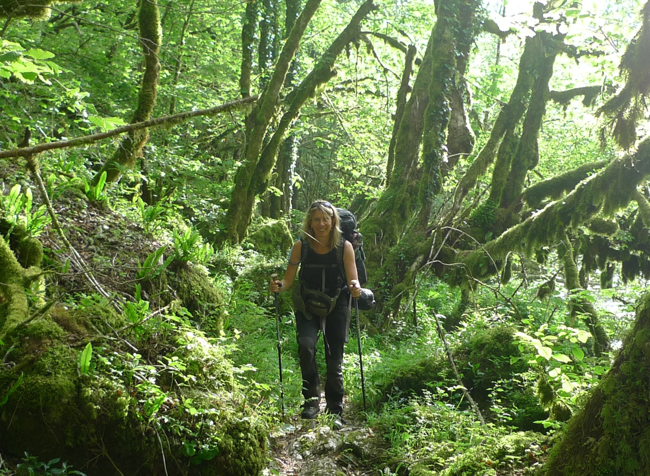 We continue, the path had leveled out and after a while we started to go down and arrived to Aubure. 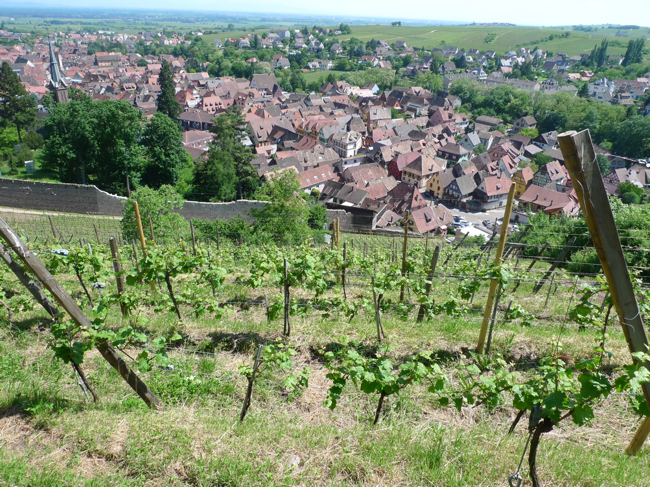 The highest positioned villages in the Alsace. We found a spring in the centre, not the nicest spot but we sat down on the bench there and had our lunch, some nice left overs from the dinner from yesterday. We found a really nice Gite, owned by a really sweet lady with a huge dog and hens and a lovely garden in the back. She showed us our rooms and served us beer in the garden. Around six we made some dinner, fake risotto with mushroom and paprika with nice spicies. .
We also drank a glas of nice white wine, Gewürztraminer. We went early to bed, the common bedtime for hikers is 22.00. We made some breakfast in the garden, the chickens kept us company. The old lady gave us some apples from the garden. 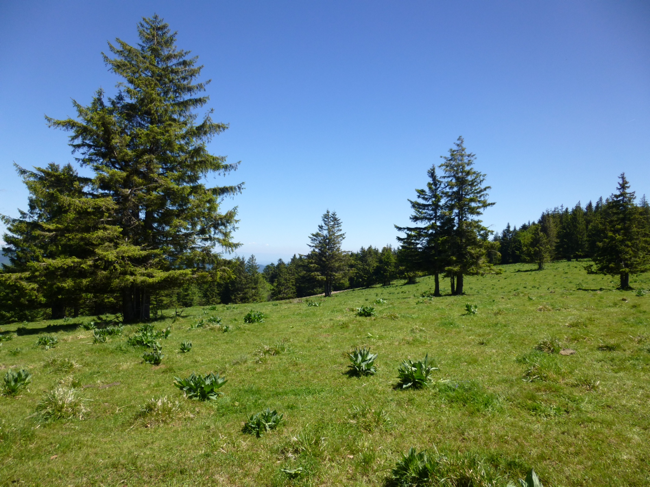 Again we mostly walked through forest, but this day we now and then got some nice views between the threes. 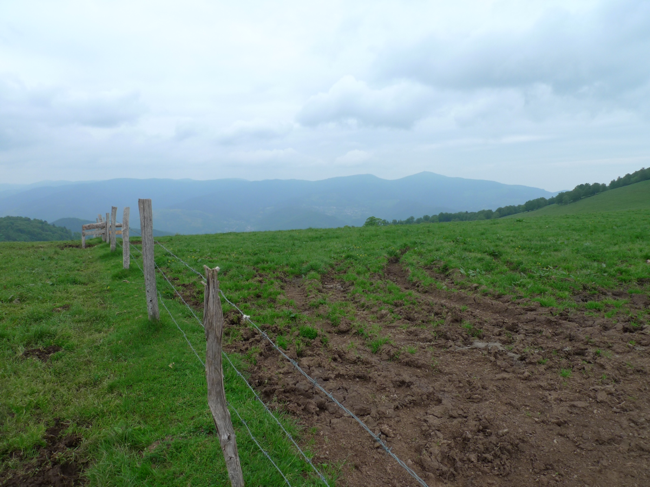 We came up to the top of Pierre des Trois Bans, and had a really nice view over two valleys. Down below there was a shelter, a couple was camping there. We continued our walk up on the ridge for a little while before heading down through some cow fields. We came down to the small village Le Bonhomme, it was quite, siesta time. Only some kids tried to get our attention by throwing small charcoals at us though their window while we where sitting outside of the church. 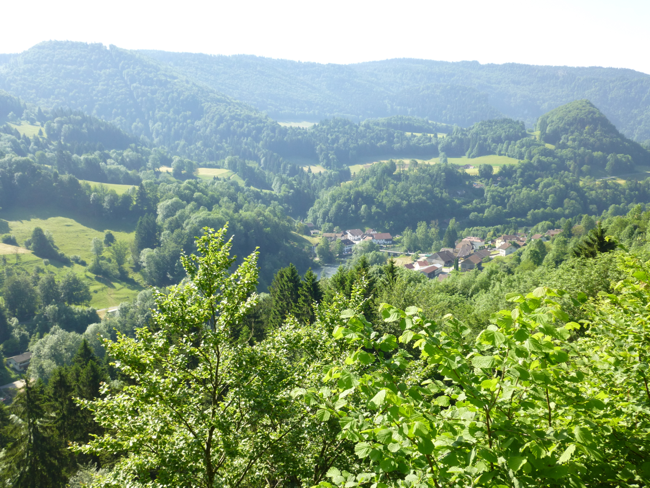 We walked up the hill to the gite and camping, it looked nice so we decided to stay. We found a nice place for our tent. We made some dinner, couscous and tomato sauce, home dried. Again nice food with some nice Riesling that we had bought in the village. During the night we had some thunder and rain. It was still raining in the morning, we had breakfast in the tent and waited for it to stop. We packed and took the wet tent up to the Gite and dried it on the table. The weather became better and we had some coffee and thee before we took off at 10. The sun came through now and then. The first part went mostly through woods and upwards. But after a ski resort we came the National park, Reserve naturelle de Tanet-Gazon du Faing, and the nature drastically changed. We where both happy about the change as we started to get really bored with the forest. The nature reminded Yrr about Iceland. Some alone standing furs seemed to have ruff life with almost no branches on one side. 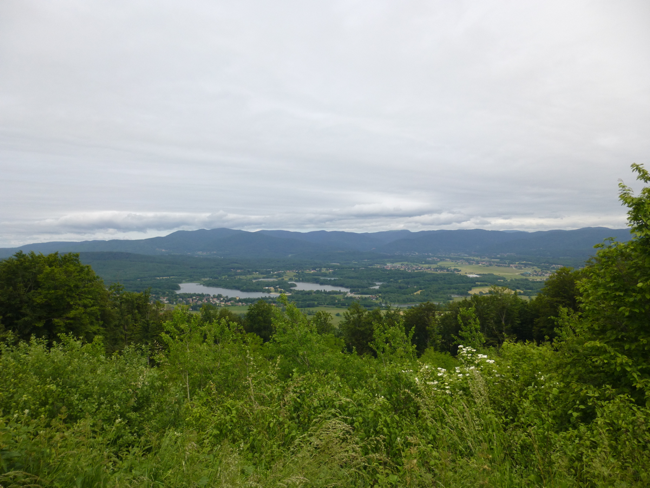 The landscape was more flat and really nice views every where. The weather was unstable with dark clouds hanging around. 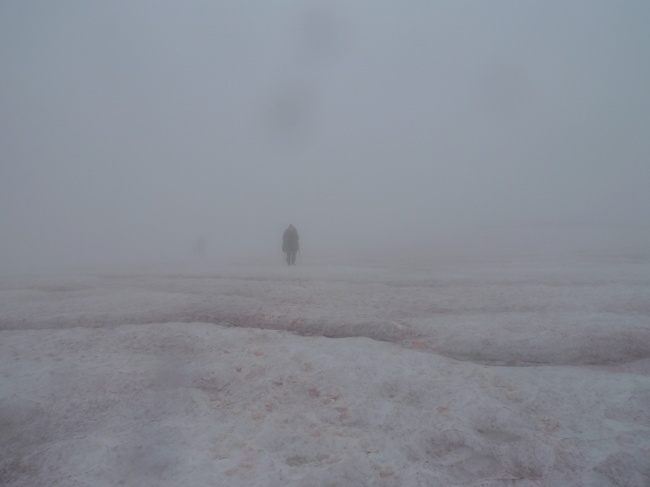 We walked for a while in this remarkable landscape. 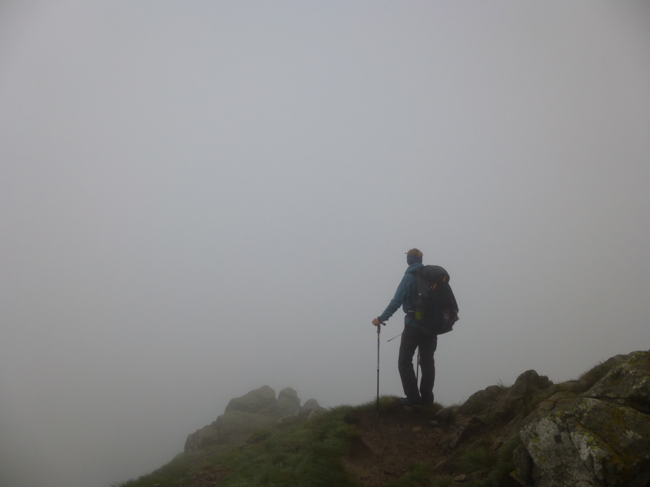 After a while the heavy clouds did what was expected and we continued for the rest of the day in the rain. We came again in to the woods. 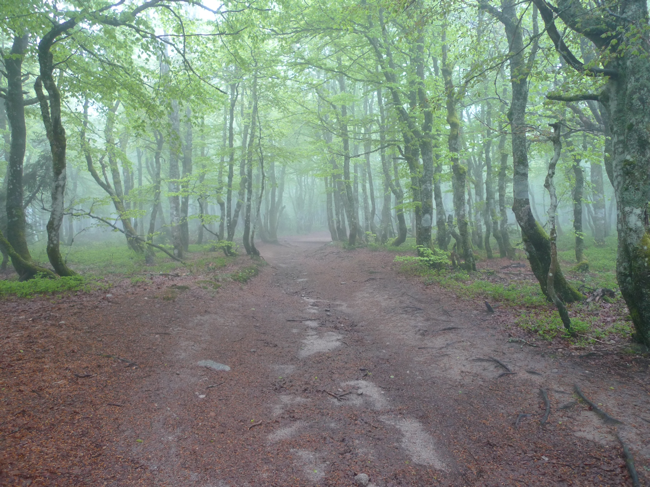 Low growing beech forest with fresh light green leaves. 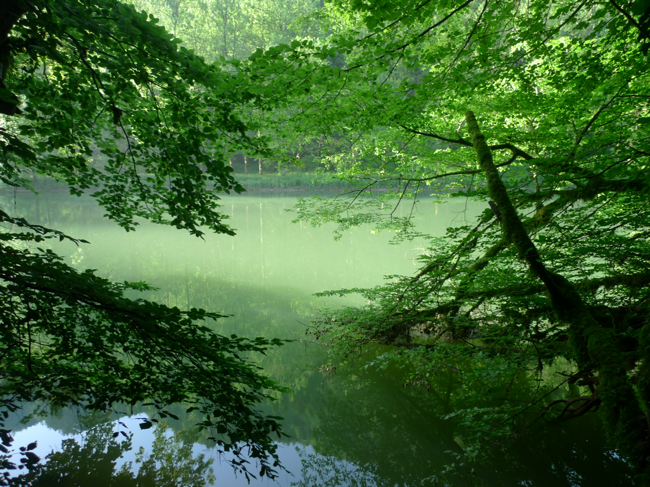 A very beautiful forest! 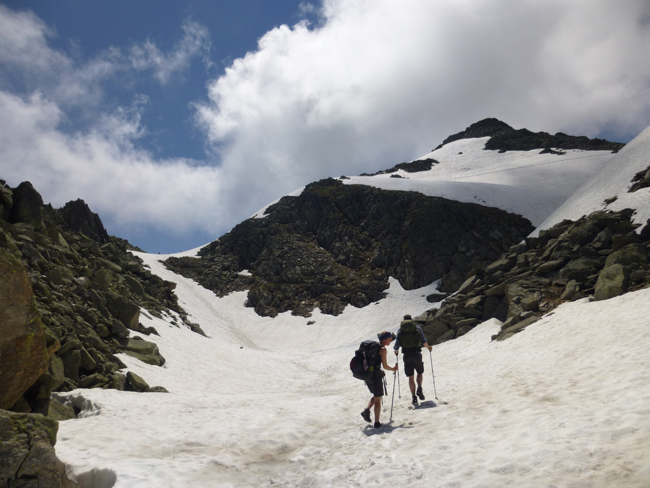 We reached Col del a Schlucht. Terrible passage in the mountain with souvenir shops and restaurant. 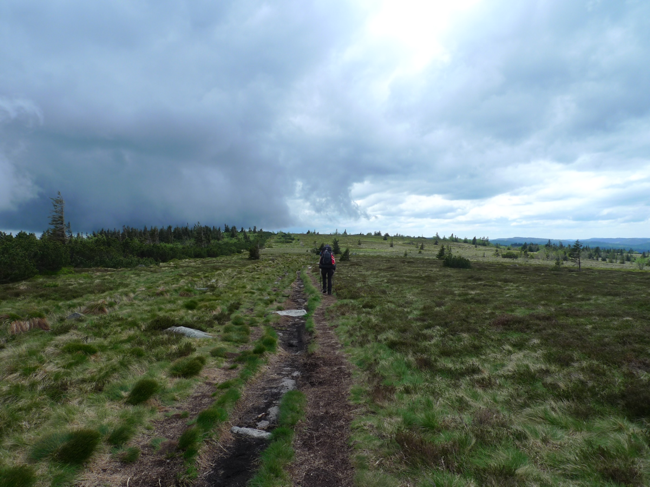 The rain was poring down but we decided to continue a little bit further, away as soon as possible from Schlucht, up to a Gite not to far away, that was nicely placed in an open field with a nice view. We unpacked, took care of some wet things, showered, cleaned some clothes and sat down for dinner with four nice guys from Belgium. 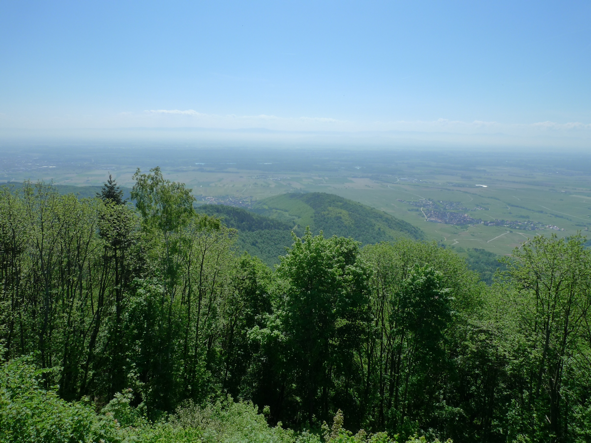 The where no hikers, but visiting Alsace for testing some wine. The food was great, first a vegetable soup, maybe pumpkin, than we had some macaroni pudding with really nice sausages and green salad. For desert we got blueberry pie. From the window we could see some wild goats jumping down the hill, they looked very playful. We went up 6.30, it was thick fog outside, packed our things and hade some breakfast at the gite. We payed and took off into the mist. 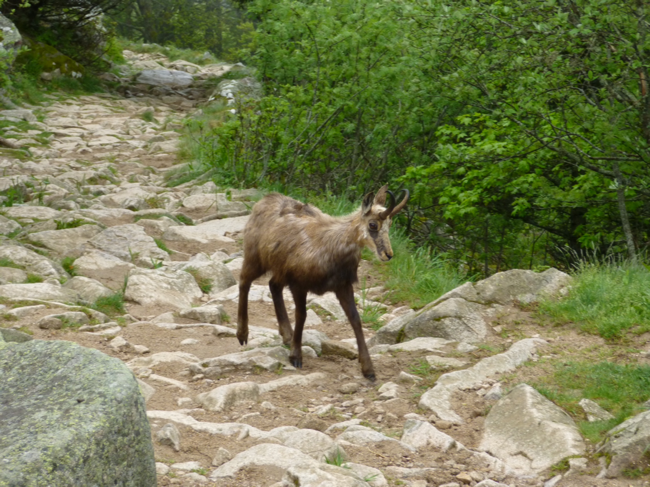 At first we where a bit disappointed but we saw some Chamois, wild goats and we might not have spotted them if the weather was clearer. We actually manage to get really close to one goat. While standing still the goat came closer and closer towards us on the track. 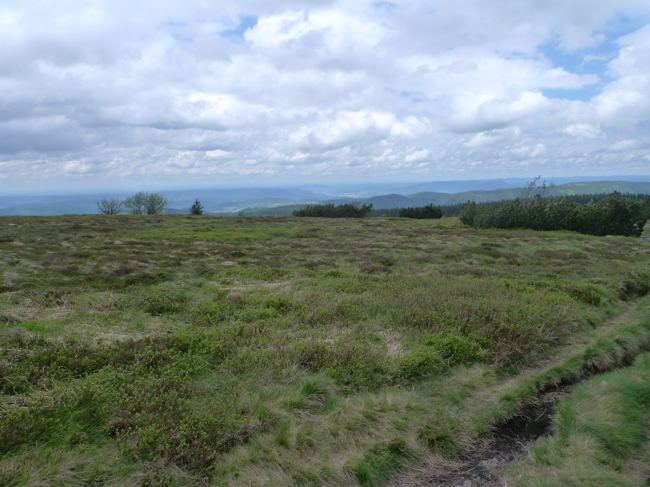 We past Le Hohneck, a place with a 360 degrees view on 1320 meter. We didn’t anything, we could only imagine it. After a while we started walking down at first on a stony road but soon a narrow path through the woods. We went down 830 meter. At one we entered the small and quite village Metzeral. We past a farmer who sold us some Munster cheese. We where happy, finally! In the centre we found out that the shop was closed for the day and we really needed to by some gas for our stove. We desided to take the train to Colmar and a tiring search for gas began. Colmar seems like a nice town but we where there just for a short while and contiued later to Thann with out any gas. Resting day: re-charge, making plans, washing some clothes, drying the tent and searching for gas. 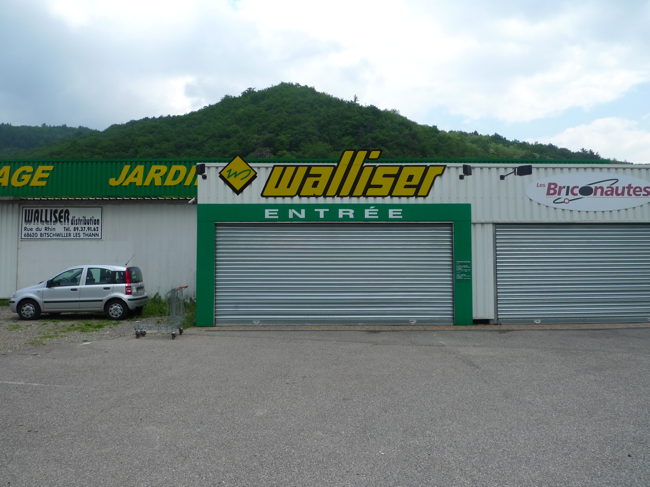 It seems that useing gas for your stove while hiking in Alsace is not the best choise as it is really hard to find. And if you find it, it is more likely another kind than we useally use in Sweden. In this store we did find some gas that worked in the end. 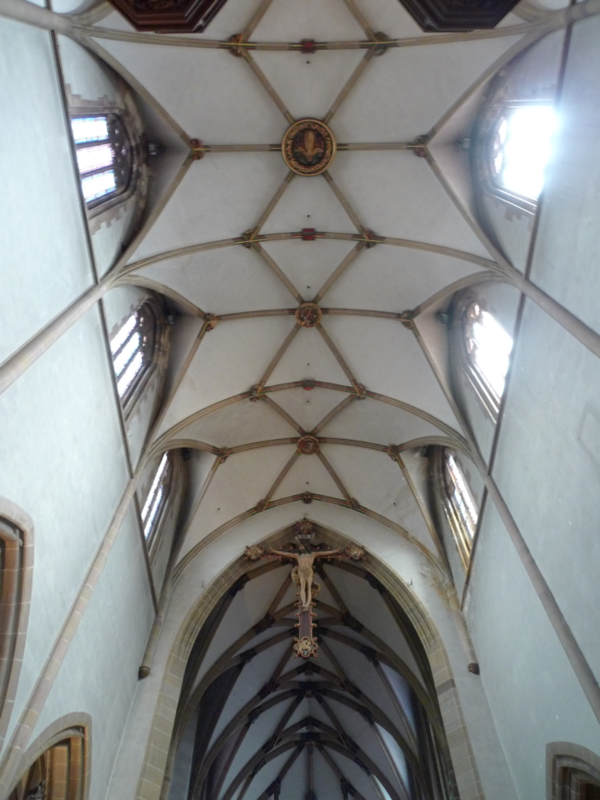 In Thann you can visit and old church, pilgrims use to come her. The day started with walking up through the woods but later we came up and out in a more open landscape. Nice views everywhere. We had lunch, lovely left over from the dinner last night, with a great view over the mountains. 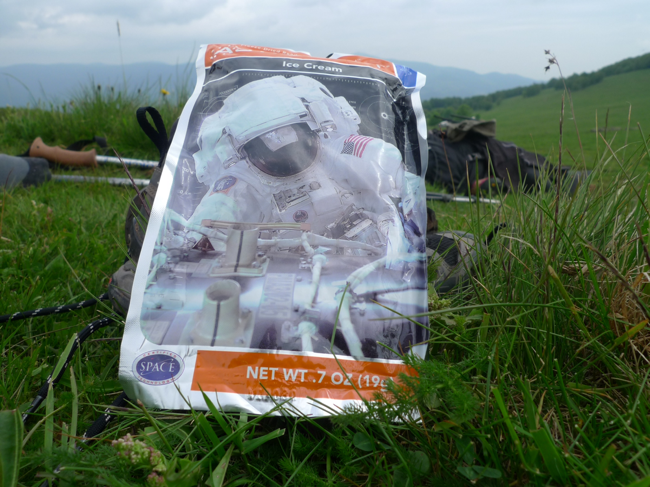 We had some ice cream, the austronaut version. It tasted like syntetic ice creame but in our situation this was not bad, It melted in your mouth almost like normal ice cream. Continued for a while in the field. There where quite a lot of other hikers in this area. Further on when we came in to the woods again we didn’t met any others we now entered more remote areas. We came to a refuge that was unstaffed. It was a nice place and view. We decided to stay and camp there. We sat up the tent on the only flat place we could find with a great view over the valley. The sun was shinining and we had an early breakfast, Yrr made scramble egg on the egg powder, it tasted like the hotel version. We packed our things, when we where all most finished we got company, a group of men came up to work on the refuge, building toilet etc. They where really friendly and curious about us. We took of, we had to go back a bit to come to the trail. The path was narrow and steep on one side. You could sometimes look down at a small lake. 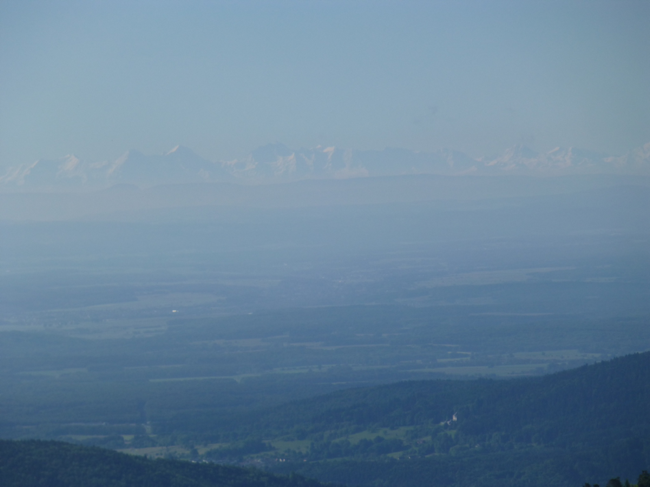 But the best view for the day was the skyline behind the lake, there we could see the alps and the Jura mountains. It was a really nice feeling, and it gave us so much energy, that we are actually on our way to thoose mountains. 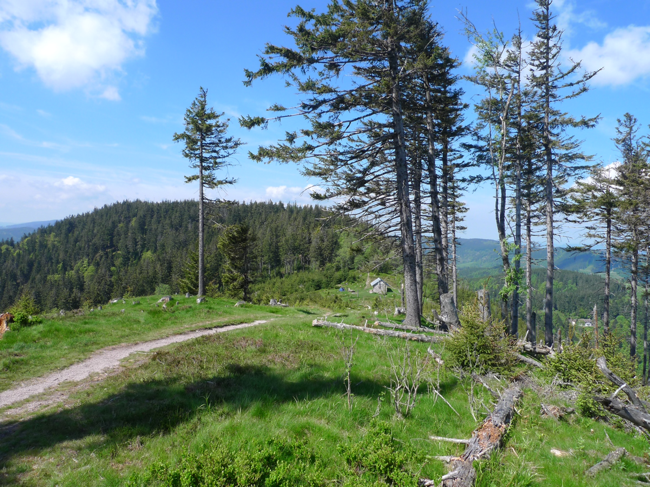 We had a great walk this day, it was our last day in the Vosges mountains. It was a bit tiring in the end of the hike as we where walking down and it was a very warm. 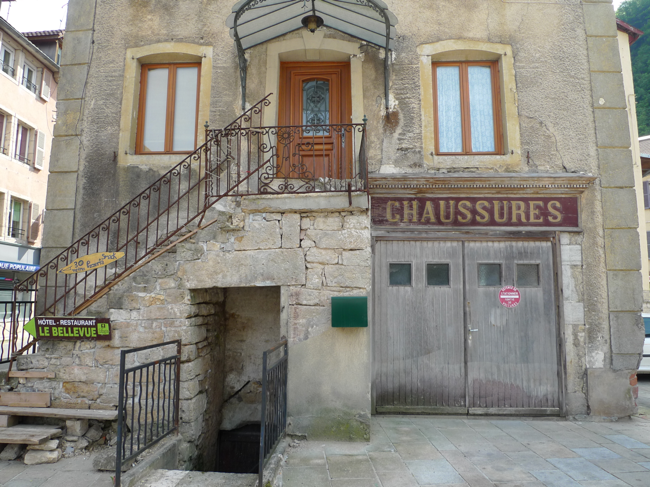 We entering Giromagny and found a village that seemed a bit sad. They had closed down the campsite, the tourist office and there was all most no place to stay at. The people we met seemed a bit sad about the change in the village. Outside of the closed tourist office some people where playing boule. One of them was very helpful and took us to a place to stay. A very kind french speaking heavy talking women took care of us and showed us our rooms, we got one each and a kitchen and a living room, a whole house actually. Later in the evening the weather changed drastically from sun to to rain and heavy wind. We where happy to be inside to night. We walked about 19 km to Chalonvillars it was mostly flat, forest and small villages, we only climbed up for about 230 m and came to a top with a good view in different directions. 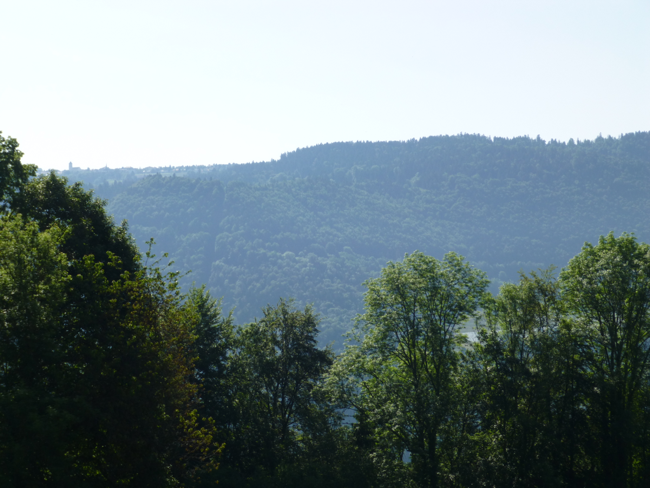 Looking back to the Vosges mountains. 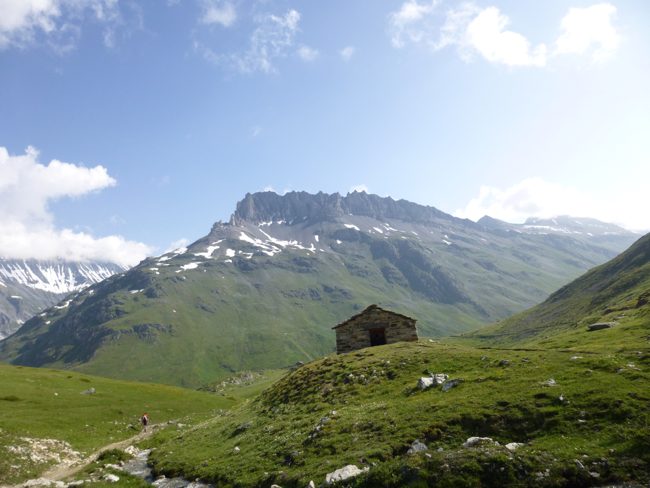 When we reached the village Chalonvillars it was really hot and our feet was hurting bad. We decided to hitchhike to Belfort a city 3 km away. A nice lady picked us up. 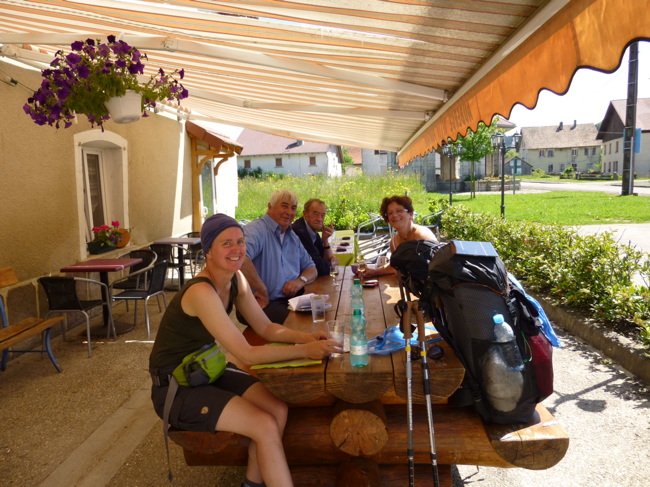 At the station in Belfort we met the two hiking men we had met in Bonhomme, they were on their way home. They were Just as dirty and malplace as we. We took the train to Hericourt, walked for about one km to the center. We looked for a place to stay and found out there were no hotels in this city at all, they had all closed down. Quite depressing. My (Ýrr) feet were in a really bad shape, I had bad blisters all over, the heat vas killing my feets. We had to walk back back to the station, with me suffering, and took the train to Montbélliard and found a hotel. 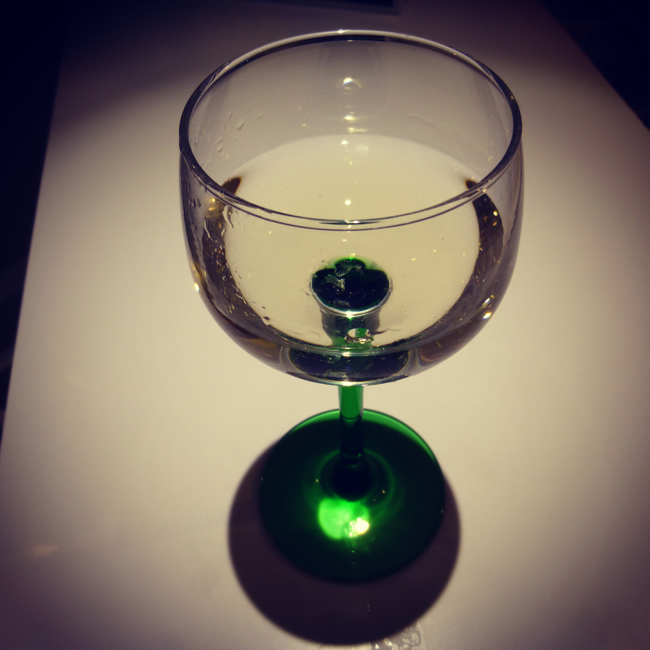 We finished the day by drinking a glas of Gewurztraminer from Alsace. Good end! We ate fancy breakfast at the Hotel before we went to the tourist office to check for a bus to St-Hyppolyte, were the Jura mountains start. It turned out there was no suitable bus on Saturdays. We decided to hitchhike. It didn’t take very long before a young girl in a small old Peugeot stopped and took us some kilometres in the right direction. We put up our thumbs again and another young girl in a old small peugeot picked us up and took us the whole way. This country seems filled with gentlewomen! 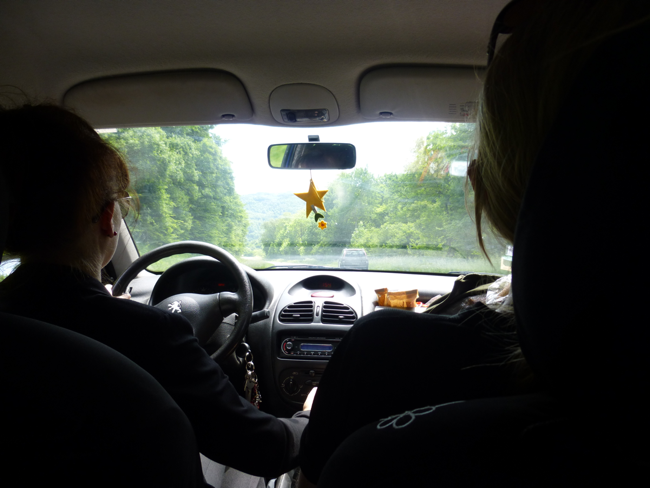 On our way to St Hyppolite in a small Peugeot, with a driving gentlewoman. We stayed at the camping in St Hyppolite. We used the facilities since we arrived early and washed our cloths in a washing machine. 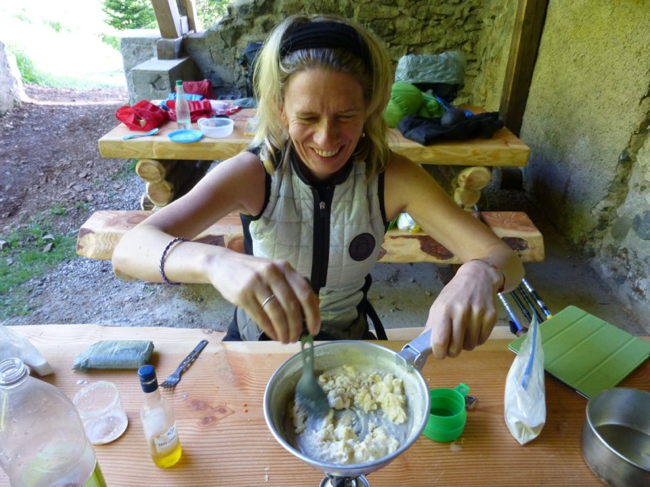 We cooked delicious pasta and had a glass of Chardoney from The Jura mountains. For desert crème caramel. We woke up at six, made breakfast. 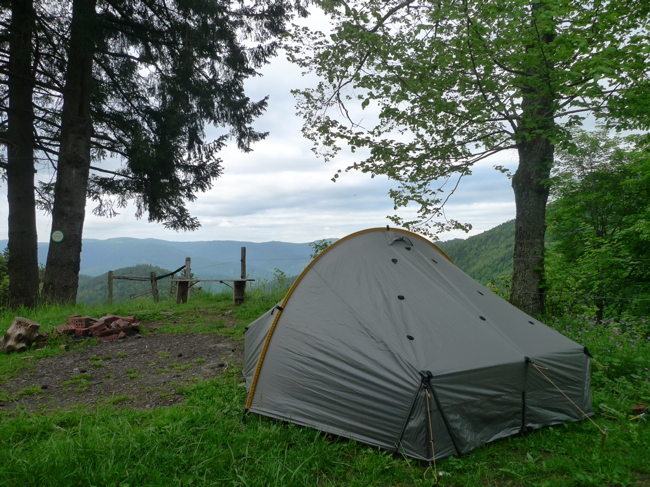 The tent was really wet, the night had been very moistened. We left the village on the north side walking above it for a while. 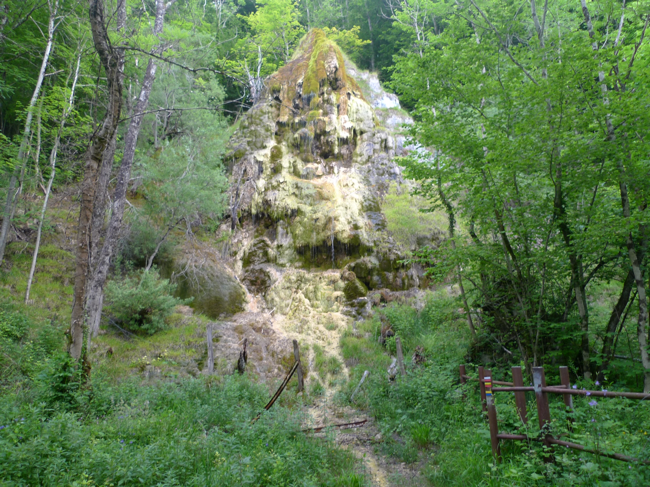 We past a big giant stone that was dripping, like a giant slimy melting troll. 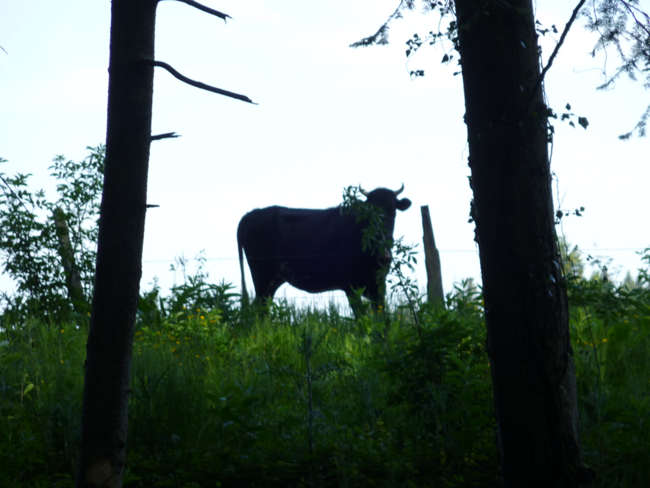 We walked through a lot of fields with cows and came to the village Courtefontaine, we sat down at the restaurant to drink some sparkling water. As our company we had some nice locals, a women, who spoke some english, and two men. One of them was her father and she told us that she was visiting him for family Sunday dinner. We continued. It started to be very hot! 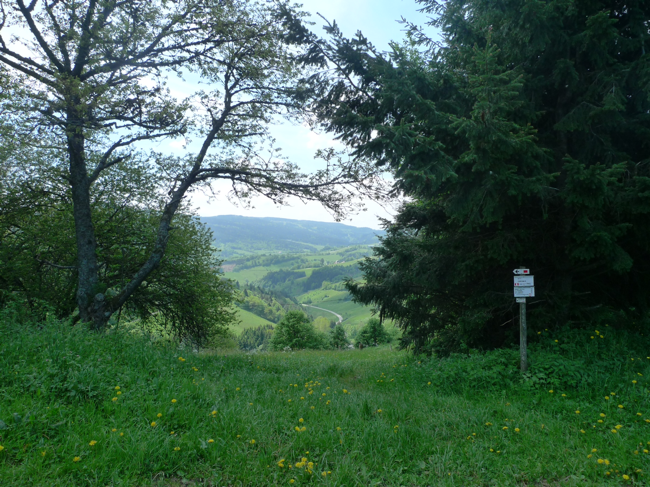 We walked upwards, changing between forest and fields with cows and had lunch under a tree looking back over the valley. 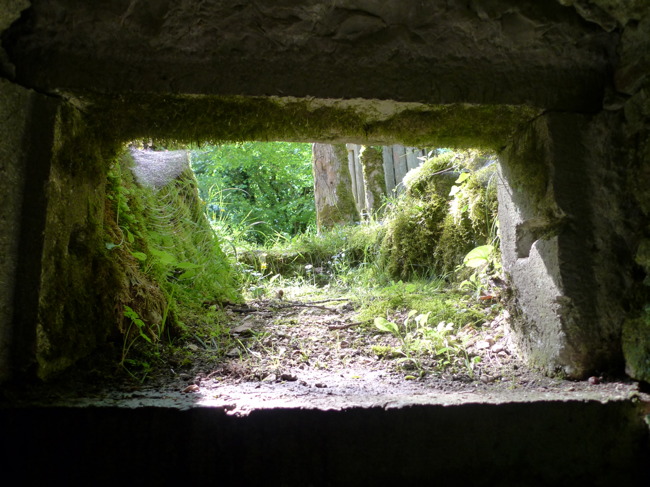 The last part was tough as it was very hot, we arrived to Fessevillers around three, a small village with a nice unstaffed Gite. At first we had the place for our selfs. We did our routines, washed our clothes, dried the tent, took a shower, prepared the food for dinner and made some planing. I did some improvement on my back pack and Yrr made a nice dinner for us. We sat outside of the house. We drank some left overs wine and thanked our self for carrying the left overs from the night before. Later two young biking guys arrived. They had biked 70 km and one of them where really tired. We made some hot chocolate and went to bed early. We woke up early, prepared for a hot day. 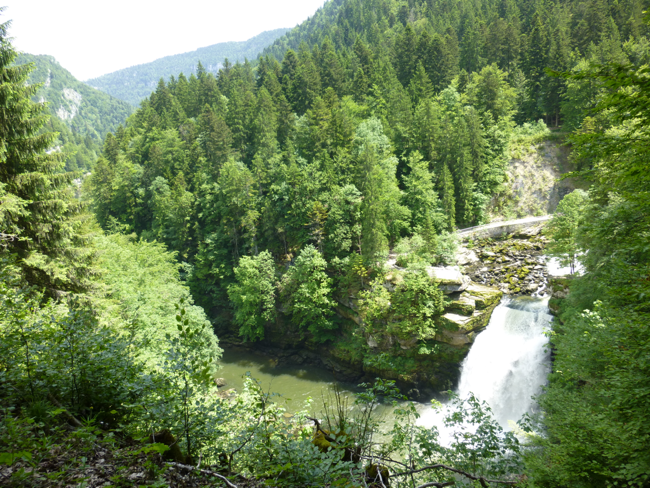 We only walked 8 km to Goumois, a small village on the border between France and Switzerland. We walked mostly on a road and in a forest. It was a easy walk, not very exciting but a beautiful morning. 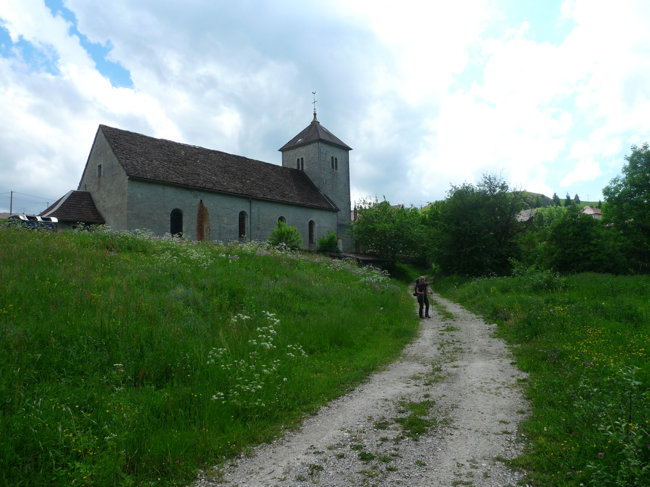 We passed cows and the little settlement of Urtière with a chapel and we saw some hares and birds on our way. A bull early in the morning. After a while we saw Switzerland across the valley. We sat down on a bench with a good view over the valley and had some homemade bread and hummus right before we walked down to Goumois. When we came to the village the heat was killing us, 34 degrees in the shadow. 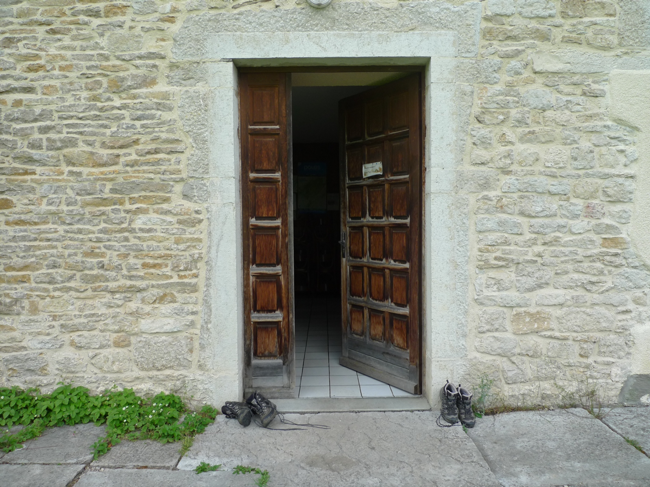 We went to the camping and left our backpacks before we took a walk in the village. 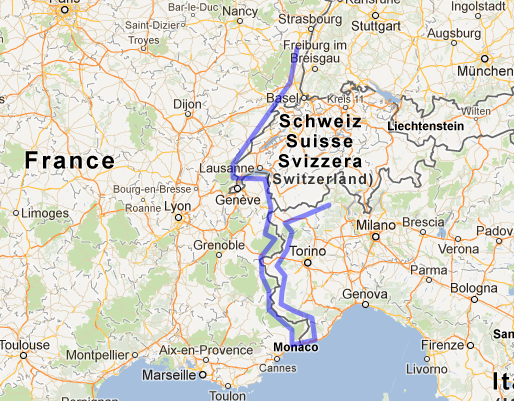 There was a bridge in the middle of the center with Switzerland on the other side of the river. We sat down in a restaurant in Switzerland and had a glass of rosé from the local area. In the evening we made delicious pasta with tomatoes, crème fraich and smoked sausage from the local area and we had some local wine. We only had one glas of wine, the rest we carried with us to the next destination. 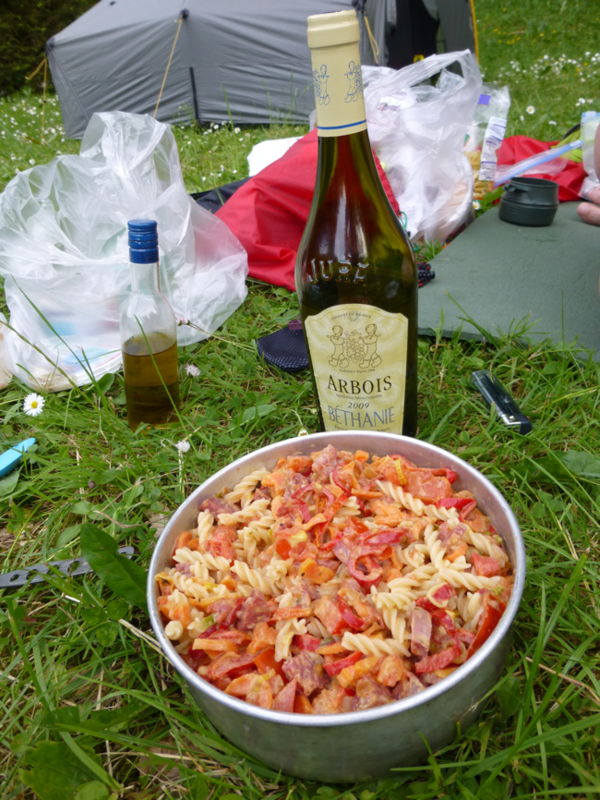 Delicious pasta and some wine from the local area outside the tent. This day we wanted to have an early start it was expected to be sun and 34 degrees. 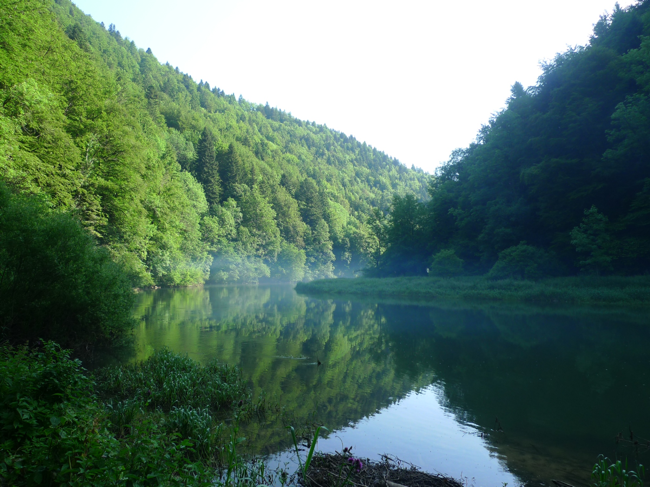 For the whole day we walked along the river Doube with Swiss mountain on the one side and French on other. The track went mainly through forest. Sometimes it felt like we were walking in a fairy tail or in a painting of John Bauer. 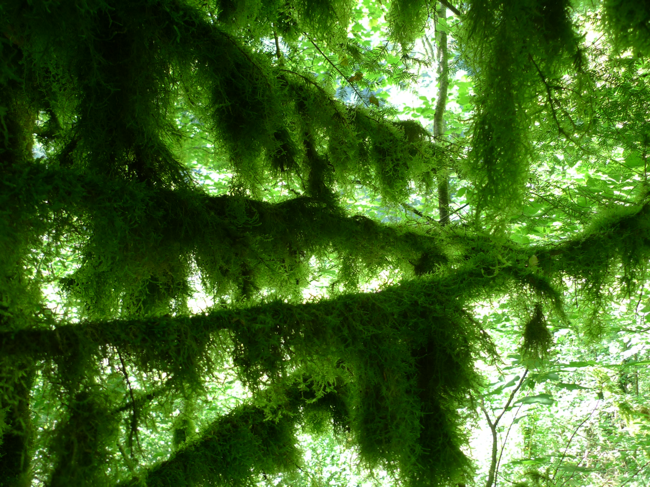 The trees where covered with heavy grooving moss and we past waterfalls and big giant stones looking like trolls. But we also had one really scary experience, while walking on a small road we met a young women with two dogs, the dogs where running freely and she had no controll over them and they came right on to us. One of dogs dogs bite Yrr in her leg. She was lucky that she had long pants. And I was lucky that the dog didn’t went for my bare legs as I was wearing shorts. We where quite angry and scared afterwards and shouted at the girl to have her dogs leashed. We also had to do some scary staircase climbing. 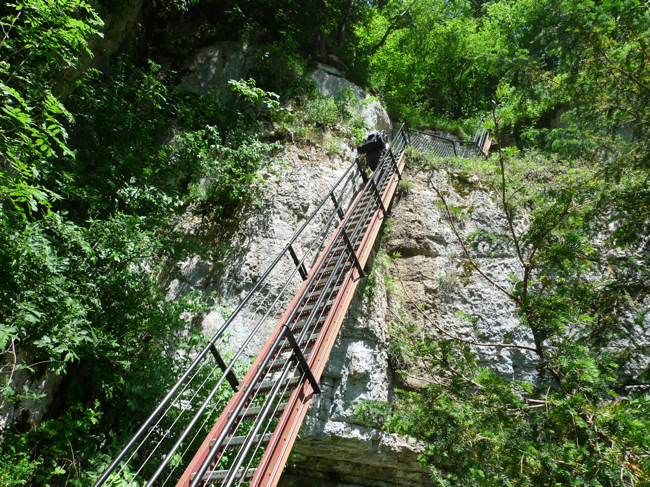 It was an area with some Via Ferrata. We took it slow as we both are a bit afraid of heights. In the end of the trail it started to be a bit too hot and we where running out of water. Strangely during the day we had past several water springs but as soon as you really need one you don’t. I went down to the river and even thought it was probably ok to drink it directly we used one of our Micropur tablets to clean it from bacteria. It taste a bit like a swimming pool but if in need you drink it with pleasure. We finally arrived to a hotel and restaurant, we had some cold sparkling water and decided to stay the night. We started our walk around seven o’clock. The sky was blue and the sun was still hiding behind the mountain. 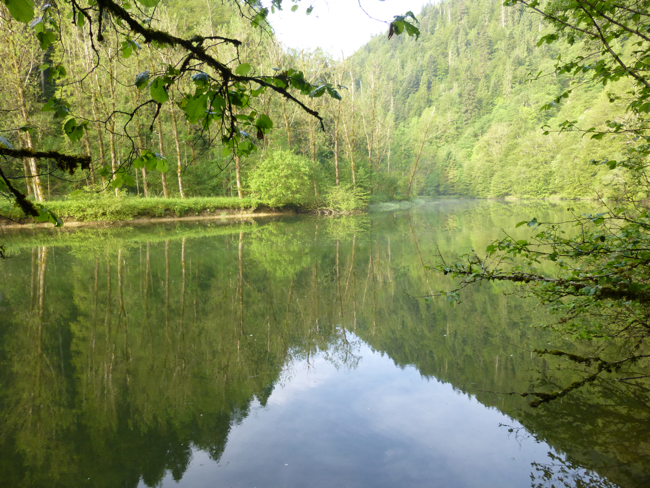 We continued the walk along the river Doubs, to start with the landscape was pretty much the same as the day before but after a couple of hours it changed and got wilder. It was a nice walk but we had to fight some enemies the whole morning, ticks! They were all over! Disgusting bloodsucking animals. Anna looking at the water flowing down the cliffwall, longing for a shower. It was a hot day. After a while we came to a spot were there were two options, one lower path that used to be the GR 5 but because of trees and rocks that had fallen down the GR 5 route had changed, but we took the old one, mostly because we missed the turn to the new one. It wasn’t that difficult and it was 3 km shorter. 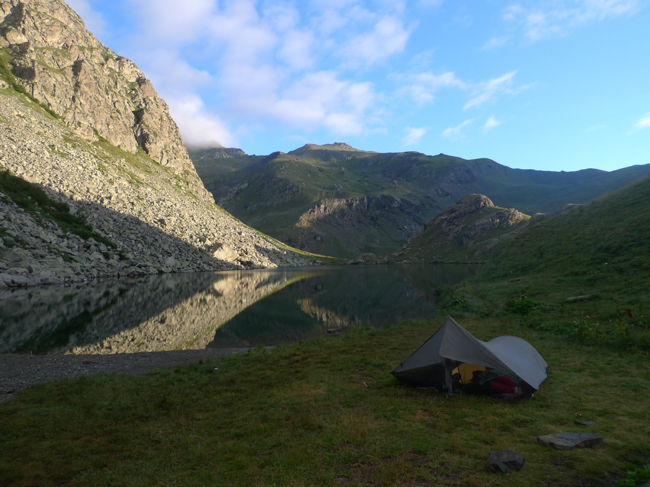 We had a longer break at Barrage du Chatlot, ate some bread and sausage and dried the tent in the sun. 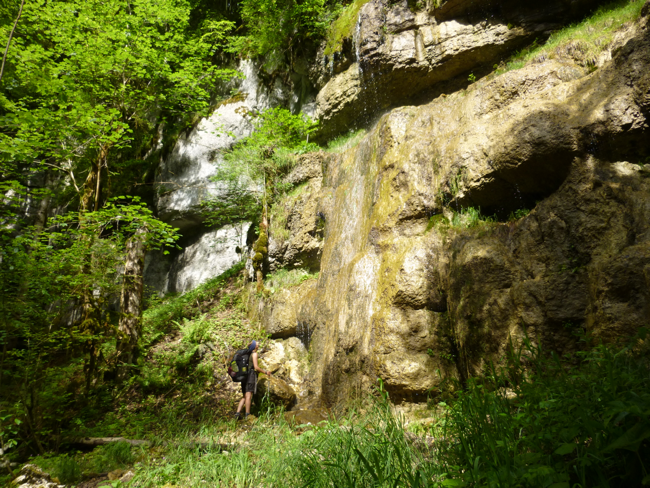 We continued to the waterfall Le Saut Du Doubs and suddenly everything became very touristic, the track was paved and the forest was replaced with souvenir shops. 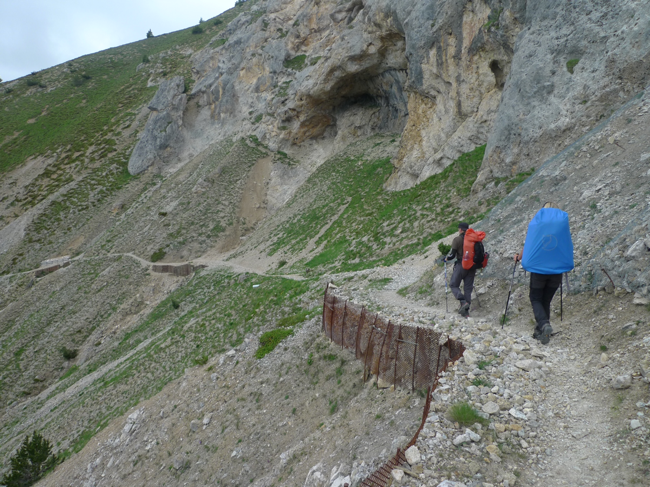 We walked down and were prepared for walking the last kilometres on a traffic road to our destination Villers le Lac. But suddenly we saw tourist boats on the river that went to our village. We decided to take it. While we were waiting we met a hiking couple we recognised from the hotel the night before. 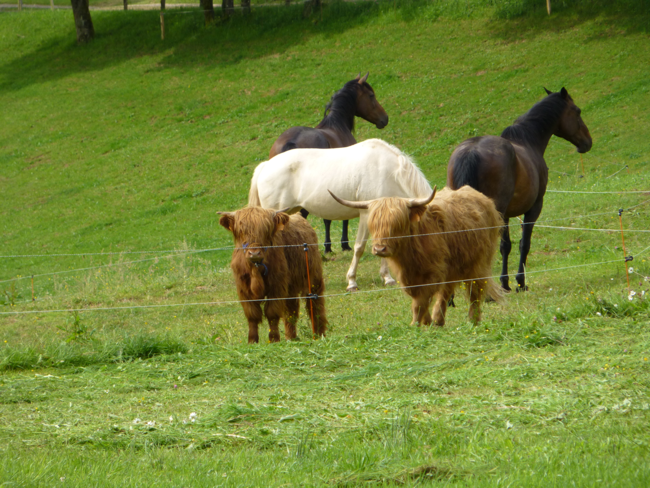 We started talking to them, they lived in Holland and spoke really good english. They took the same boat. 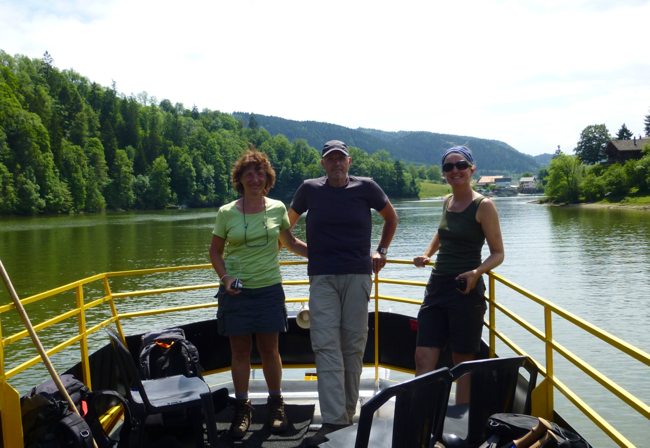 All four of us really enjoyed the boat trip, we had the whole boat for ourselves, the sun was shining and it was beautiful! 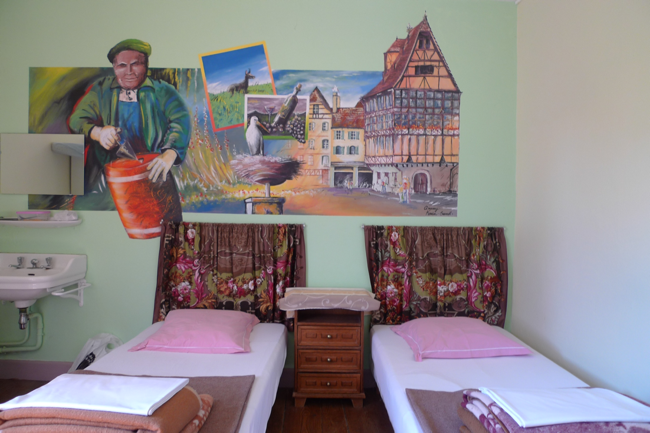 We spent the night at the same gite as our new dutch friends and we had the gite for our self as well. We ate dinner together and had a really nice evening!